SO — I’ve decided to start featuring some really awesome artists who have their roots in San Antonio and/or Austin. We have some untapped talent here in TX, and the scene is really starting to open up! However, without coverage, who’s gonna know? This may end up expanding into profiling new artists in general, wherever they may be… some of which I get to do in my playlists or with an album review, but this is the first “interview” I’ve conducted. 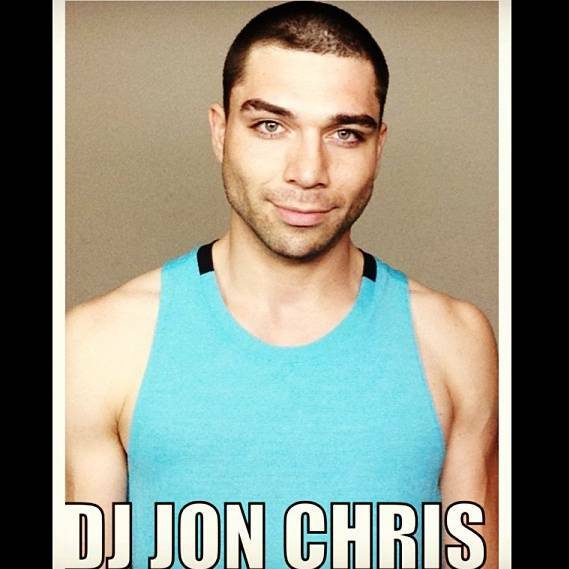 Get ready to meet DJ Jon Chris. I went to high school with this (handsome) guy, and we’ve actually known each other since we were kids. It’s a bit surreal that we’re “grown ups” now. Be sure to check out some of his material here, here and here. First thing’s first: When did you first discover your aptitude for music? When I bought my first pair of turntables in 2007. They were Numark NS7 turntables. After long nights of learning and practicing, I had my first gig in Los Angeles that month, and then my first residency the next month. [A]s soon as I purchased my turntables, and the light bulb has stayed on ever since. How did you get started actually producing tracks? What’s that process like for you? Do you prefer original or sampled pieces? I started producing after 4 years of being a DJ. In between shows I took online sound design courses at Dubspot. I usually use a sample that inspires me, then I build on that. Who are a few of your biggest musical influences? Personal? Do you have anyone you’d consider a mentor, in either realm? I have so many influences in different genres. I like the way Calvin Harris, Luminox, and Zomboy produce electronic music. Bands also influence me, like The Red Hot Chilli Peppers and Incubus. What are a few of your favorite tracks, currently? Anything or anyone you have on repeat? I listen to songs according to how I want to feel. On a saturday morning, here in Los Angeles, I’ll put on “Around The World” [by the] Red Hot Chili Peppers, and at night, I’ll listen to … trap music or chill electronic funk. Had you always dreamt of moving out to LA? What was that journey and transition like? Growing up, I never once thought about moving to LA, I wanted to be a country guitar player in Nashville, lol. But [the] opportunity came to me in College →Blinn College in Brenham, TX← that led me out here [to] sunny Los Angeles. The first 6 months in LA were the hardest, but I got used to the high gas prices! What is it, you think, that sets you apart from other DJs? What are you doing differently? At the moment, I am adding in live instruments to my sets. I play electric guitar, and also have a live drummer that I perform with. I stay humble by surrounding myself with people who have the same mindset as me, and [by] learning. As soon as you think you know everything, you stop [being] willing to learn, change, and adapt. That is not a good philosophy to have. What do you look forward to most when you perform? I always look forward to the audiences energy and how to control it during my shows. Which has been one of your favorite shows to play to-date? Any crazy stories you’d care to share? It’s a Zombie-themed show we have every year here in LA around Halloween, it gets crazy! The performers are nuts, and the people drink way too much vodka, lol. What are a few of your favorite pastimes outside of your career? What is LA like outside of showbiz? LA is in a wonderful location, we have the beach 45 min. away, and the snow just a few hours up north. I love to surf and spend a day in Malibu. Coming from San Antonio, what are your thoughts on the music scene in your hometown? Do you have any ideas to expand San Antonio’s musical palette, so-to-speak? San Antonio has some great music, although it is different form the LA music scene. In LA bands are more competitive, in SA bands are more like friends that help each other out. What are you most proud of when you think of your journey to get to where you are now? What do you aim to accomplish in the long-term? I one day want to go back to Texas and give back to the community that I grew up in. I want to help young kids exercise their creativity in music, art, or theatre. Read more about DJ Jon Chris here.